I could’ve sworn I posted a review of the movie Split immediately after watching it, but I can’t seem to find anything about it on my blog. I mean… I distinctly remember pointing out that Split had a very blatant Easter Egg on the poster (let alone all the ones in the actual movie)! More importantly (lol) I remember mentioning that I thought James McAvoy was so hot in Children of Dune (he was actually the inspiration behind the purchase of these H&M Black Wide-Leg Pants hauled here) and X-Men (all the ones he was in) and Shameless (UK) and Wanted and Atonement, and despite all the cray, thought he was very attractive in Split as well! How do I remember the structure of the missing post (down to each link) if I never actually got around to writing it? I searched both the the Drafts Folder and Deleted Files Folder. I even typed all kinds of possible keywords for the missing post (and aside from a small mention of actor Eamonn Walker being in the movie Unbreakable in my review of the prison show Oz), I got nothing, which was quite… strange. Actually, scratch that. Since the topic at hand is an M. Night Shyamalan Film, strange mishaps seems only fitting. 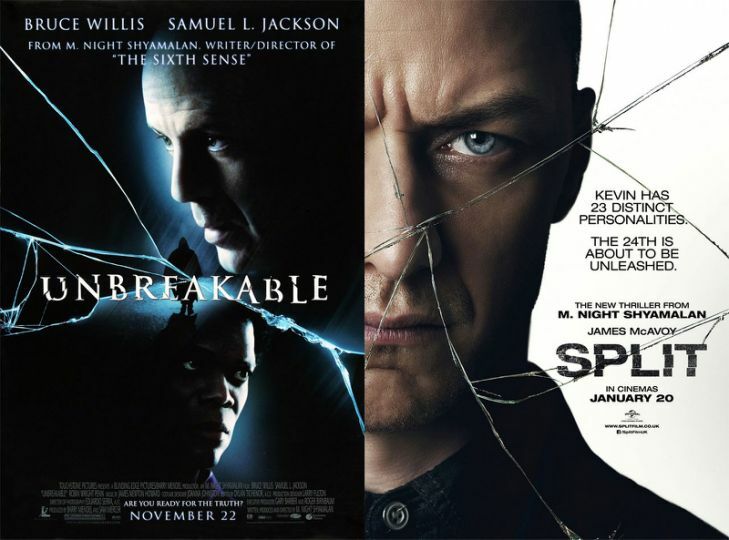 Honestly, M. Night Shyamalan (not his movies, HIM, as in the actual man) scares me!